Democracy is a common form of government around the world. Australia is a representative democracy with three levels of government that share the power and responsibility for our citizens. How should a nation be ruled? How are the representatives elected? Have you ever thought about how Australia is ruled? What about other countries around the world? Are they all ruled in the same way? Australia is a democracy, but how many countries are like us? Here is some information about three different ways a country can be ruled. An absolute monarchy is a form of rule where one person has supreme authority. This person is not restricted by written rules, laws or legislation and in absolute monarchies there is no constitution (the set of rules by which a country is run). Most of the time, the leadership is decided by succession, which means that it passes from one family member to the next. An ancient example of this type of rule is Egypt, where the Pharaohs ruled from about 3100 – 1100 BC. 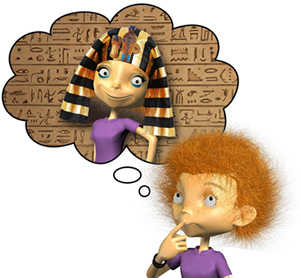 The Pharaohs were considered living Gods by their people and rule passed from the Pharaoh to his eldest son. Today, there are only a few places that are ruled by absolute monarchy, including Vatican City (where the ruler is elected) and Brunei (the ruler inherits the title). In a direct democracy (sometimes known as a pure democracy), all the people vote on policies and laws. An ancient example is Athens which was ruled by the people. Citizens were expected to attend a meeting every nine days so they could vote on laws and policies. They required a minimum number of citizens to turn up at the meetings and if this did not happen, they would be rounded up and forced to attend. This started to become annoying and difficult for the people, so they decided to select representatives from each area to attend the meetings and speak on behalf of the people. This was the start of representative democracy. An interesting point about direct democracy is that while it says ‘all’ people vote on laws, in reality women, children, slaves and people from other nations were not allowed to vote. There are no strong examples of direct democracy anymore: the majority of democracies today are representative. In a representative democracy, groups of people vote for individuals to represent them at government level. In this system, all eligible citizens can vote for a select number of people to carry out the business of government on their behalf. Unlike direct democracy, this means that not everyone has to attend meetings about laws and policies. In Australia, voting for the elected members happens every four years for state government and every three years for federal government. This is much easier than attending a meeting every nine days! So what is a ‘constitutional monarchy’? Australia is also known as a ‘constitutional monarchy’. This can become quite confusing, but it simply means that the official head of our government (known as the Head of State) is the current monarch. Australia’s Head of State is Britain’s Queen Elizabeth II, and she is bound by Australia’s constitution. Centuries ago, the head of state would have had direct political power over any countries he or she ruled (like in an absolute monarchy), but today this is not the case. Australia’s Head of State is really just symbolic and performs ceremonial functions, but she has a representative in Australia and that is the Governor-General. Australia’s constitution does give our Head of State and Governor-General a lot of power, but they usually act on the advice of the government of the day. This is fair, because both of them are unelected, which means the people have not had a say in choosing them. In Australia, we have three levels of government: federal, state and local. The power is shared between each of the governments, but together they provide for our citizens. Let’s find out more about each level. The word ‘federal’ means all of Australia, that is, all the individual states in Australia join together to form a nation. In 1901, the individual Australian states, or British colonies as they were known, decided that some things might work better if they worked on them together, rather than separately. This decision to join together was called the ‘Australian Federation’ and the union of all the states was then given the name of the ‘Commonwealth of Australia’. A document called ‘The Constitution’ was written and came into force in Australia on January 1, 1901. The Constitution describes how the Australian Parliament works and what powers it has. The Constitution cannot just be changed when politicians feel like it. To make a change, we must have a ‘referendum’. A referendum is when all Australians 18 years and older are given the opportunity to vote as to whether they want a particular change made to the Constitution. Forty three proposed changes to the Constitution have been put to the Australian people since Federation, but only eight have passed. The most recent referendum was in 1999, and asked whether or not the Australian people wanted our country to become a republic. The country answered ‘no’ so the change did not happen. History shows that people are not generally willing to vote for change. For a change to pass, there must be a huge majority ‘yes’ vote in at least four states of Australia and two of those must be New South Wales and Victoria (as they have the highest populations). Some of the more memorable referendums held since Federation have been about the voting rights of women and Indigenous Australians. Both times, the people voted ‘yes’, so women and Indigenous Australians were allowed to vote. The Federal Parliament is made up of representatives from all states and territories and it meets in Canberra on a regular basis. The Parliament makes new laws and amends existing laws which are then carried out by the Federal Government. Over the period of a year, somewhere between 150 and 22O laws are passed. Revenue, or the money the Federal Government needs to provide services to the Australian people comes mainly by collecting income tax from the people of Australia as they work. Companies and businesses that buy and sell goods and services in Australia also contribute money to the Federal Government in the form of taxes. Each state or territory in Australia has its own government and its own Constitution. There is a parliament and a Parliament House in each state’s capital city and the government, which consists of representatives from every area in the state, makes laws about state matters. The leader of each state government is called the Premier, and members of the state parliament are elected to represent the people of each state. State governments raise money by placing taxes on goods (almost everything you buy) and services (e.g. banking, public transport, freight etc. ), but more than half of their revenue is given to them by the Federal Government. This money is called a ‘grant’. But what about the territories? There are ten Australian territories outside the borders of the states. Two mainland territories, the Australian Capital Territory (ACT) and the Northern Territory have been granted a limited right of self-government by the federal government. In these territories, a range of governmental matters are now handled by a locally-elected parliament. Outside of government, the ACT and the Northern Territory are often treated like states because of their significant population sizes. The leaders of the territories are called ‘Chief Ministers’. Local governments make decisions about local town, area or city matters. 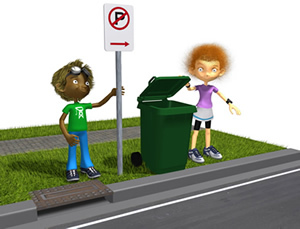 There are hundreds of local governments operating in Australia, which may be known as municipalities, councils, shires, boroughs, towns or cities depending on where you live. 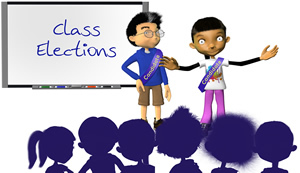 Aldermen or councillors are elected by the local community to represent the townspeople and the leader is called the ‘Mayor’ or ‘Shire President’. Just like the federal and state governments, local governments collect taxes to provide services for people in their area. These taxes are called ‘rates’ and they are paid by people who own land in the area. 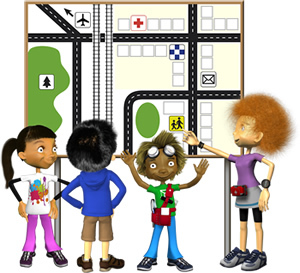 Local governments may also receive grants from the state and federal governments. In Australia, as soon as you turn 18 you can register to vote. This means you will be part of electing the people that you would like to represent you in local, state or federal government. On an election day, you will visit a ‘polling booth’ where you fill out a form (known as a ballot paper) that will show who you are voting for. 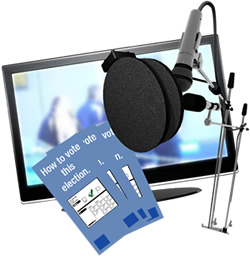 In Australia, if you are enrolled to vote, you must vote in all state and federal elections (it is the law), but it is optional to vote in local government elections. In Australia, we have three levels of government that share the power: federal state and local. Each of these holds elections, makes laws for the citizens and provides public goods and services. The word ‘democracy’ originates from the Greek language. It combines two shorter words: ‘demos’ meaning whole citizen of a place and ‘kratos’ meaning power or rule. Together this means that the rule and power should involve all the citizens of a place. There are lots of symbols of democracy including flags, coats of arms, and parliament houses. The Australian Coat of Arms is the formal symbol of the Commonwealth of Australia. It has a kangaroo and emu holding a shield with symbols of the six Australian states. Above this there is a gold, seven-pointed Commonwealth star – six points represent the states and the final point represents all the territories. Finally, it has the word ‘Australia’ and is on a background of golden wattle (our national floral emblem). It has been said that the kangaroo and emu were chosen for the Australian Coat of Arms because neither can move backwards easily? This is said to symbolise a nation that is moving forward. 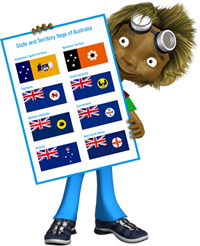 Did you know that each Australian state and territory has its own flag, coat of arms, floral and faunal emblem? What does the flag of your state or territory look like? 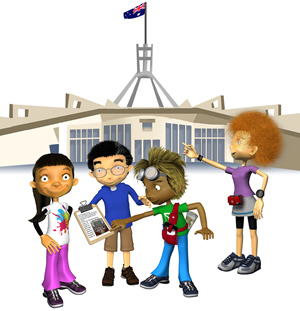 All Australian citizens over the age of 18 must vote in federal and state elections. This is not the case in all democracies. In many other countries people may choose not to vote. As well as being a representative democracy, Australia is also a constitutional democracy. This means we have a constitution which is a set of rules that are used to govern our country. Our constitution has been in place since 1 January 1901. Since federation, Australia has had 29 Prime Ministers, 28 men and one woman. Our first Prime Minister was Edmund Barton (from 1901 to 1903) and our female Prime Minister was Julia Gillard (from 2010 to 2013). There are many democratic countries around the world. These include Canada, New Zealand, America, England, Germany and Norway.